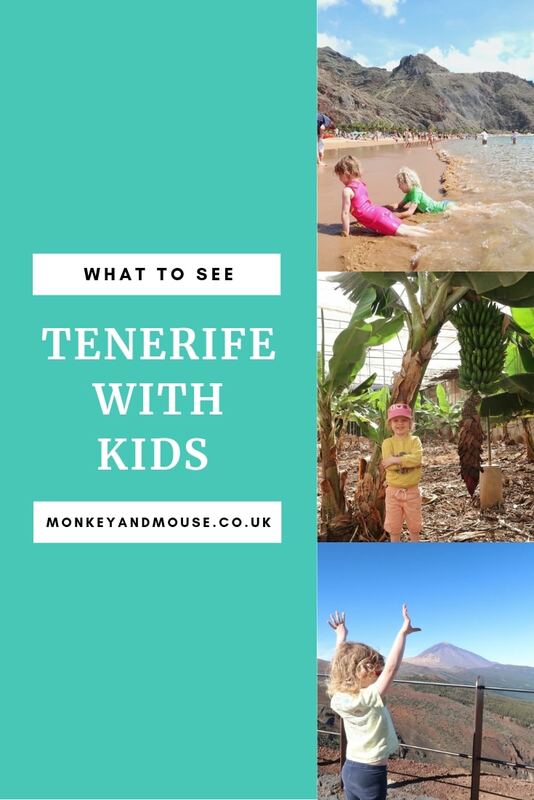 We had such an amazing trip to Tenerife, there is so much more to the island than sunbathing on tourist resorts. We had an awesome week exploring the different ecosystems, learning about the islands history and enjoying the different types of beaches. 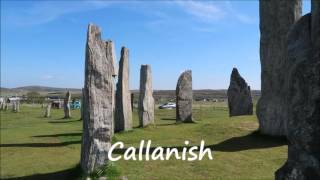 Here are our recommendations for a fantastic trip that will keep all the family interested! Most people will know that the Canary Islands are volcanic islands and Tenerife has a major dormant volcano in the middle of the island. but did you know that Tenerife was actually formed from several volcanoes? You can spot volcanic rock and features all around the island where from volcanic rock in walls and pavements, black sand beaches and lava rock pools. Keep an eye out wherever you go, but here are a few places you might like to visit. 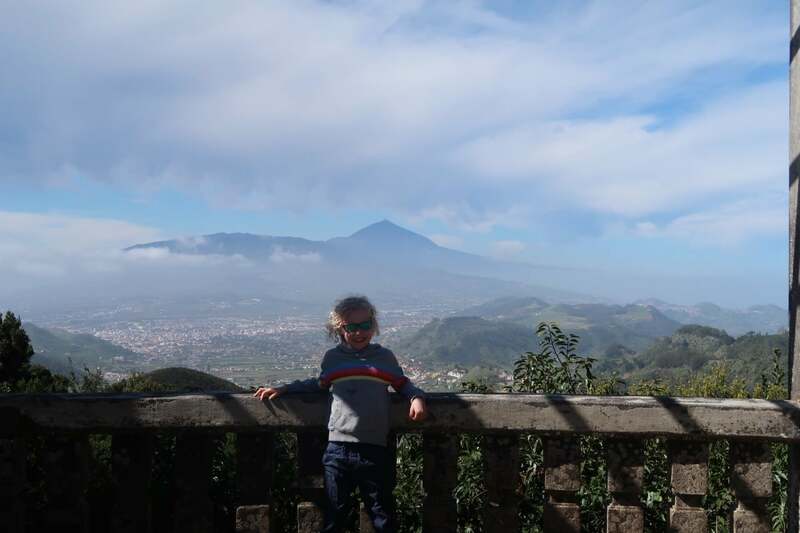 Although there were previously other volcanoes making up the Tenerife complex, the volcano that you will see on Tenerife is Mt Teide, which sits in the middle of the caldera of a previous collapsed volcanic centre. Mt Teide is 3,718m tall, which is almost 3 times the height of Ben Nevis, although the cable car stop is at 3,555m in height. Due to the altitude the cable car ride is only for those aged 2 years old and over. 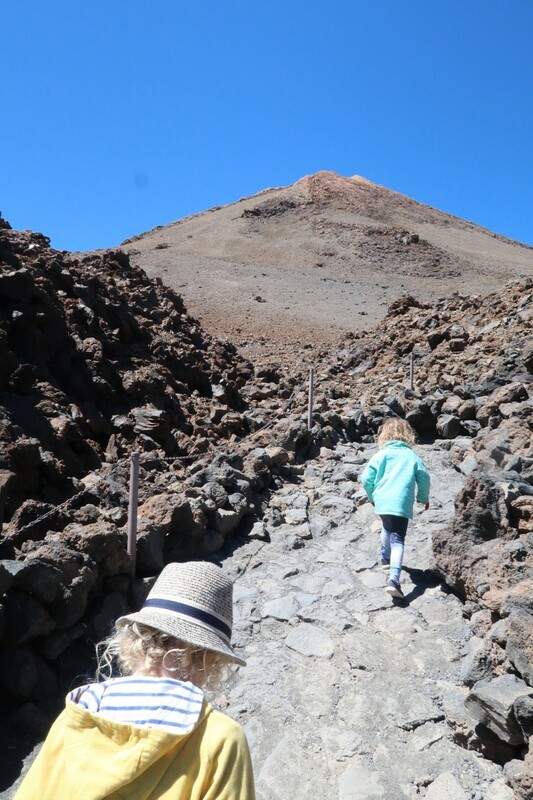 To get to Mt Teide you will need to travel up through various different ecosystems. All the way from the cacti and scrub, up into the pine forests and then out into what appears a rocky wasteland! If you visit El Portillo visitor centre below Mt Teide then you will see some of the plants that can grow in this wild place. There is also an interesting museum that discusses the history of the volcano and the local environment. 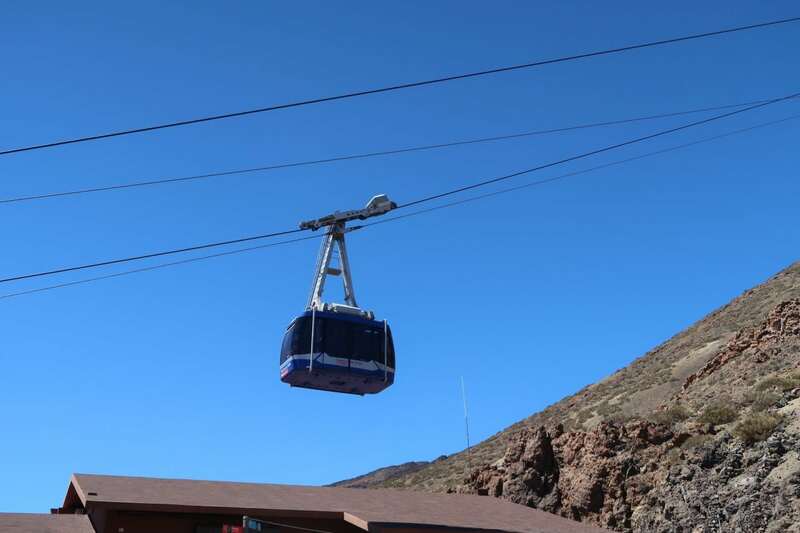 We booked the cable car ride up Mt Teide before we arrived on Tenerife, it can all be done online. Unfortunately we chose the wrong time as we had booked for 1pm and the car park was crazy! Over 200 spaces all full, plus cars parked all along the road and vehicles queuing in all directions. 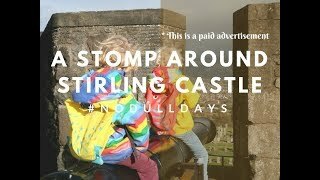 We did eventually manage to get parked a 20 minute walk away from the visitor centre, well my husband did, he dropped the kids and I off at the top first! After our mistake I would suggest booking for an early morning or late afternoon cable car ride and arrive at least 40 minutes early so you have time to find a parking space. There is a small shop and cafe at the base station, but it’s nice to just sit and watch the cable car going up to the top of the volcano. You can also get to the cable car by bus or instead walk up the mountain. With the cable car you get access to the view point, a short walk from the cable car. If you would like to walk further up the mountain to the peak then you will need a permit, these are sold in advance and can be sold out for several months in advance. Alternatively you can walk up the path from the main road to the Altavista Refuge in around 4 hours. If you can get up extra early it’s possible to walk to the peak of the volcano to watch the sunrise and then back down to the refuge for 9am without requiring a permit. After 9am you can’t be on the paths to the peak without a valid permit. We didn’t manage to visit the town of Garachico during our visit. It’s on the North West coast of Tenerife and was originally the major port of Tenerife. This all changed due to the volcano erupting and lava pouring down Garachico’s streets and destroying the harbour. Although the harbour was completely destroyed by the lava, it created several pools of water which are now a tourist attraction in their own right. The pools are heated by the sun in the summer months and perfect for a little dip in the water. If we head back to Tenerife again, this will be one of the places I want to check out! Most people don’t know realise that Tenerife has a stunning ancient forest. 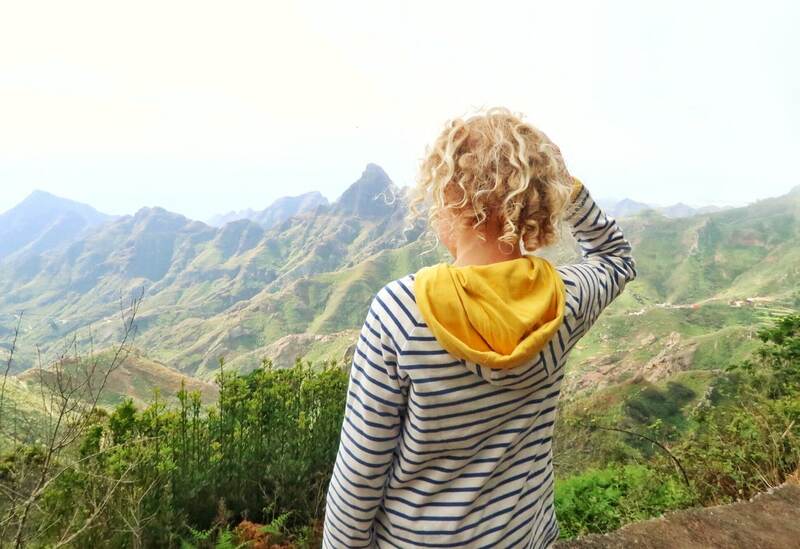 But if you travel North of Santa Cruz into the mountains you will arrive in the Anaga Rural Park, which is completely magical. 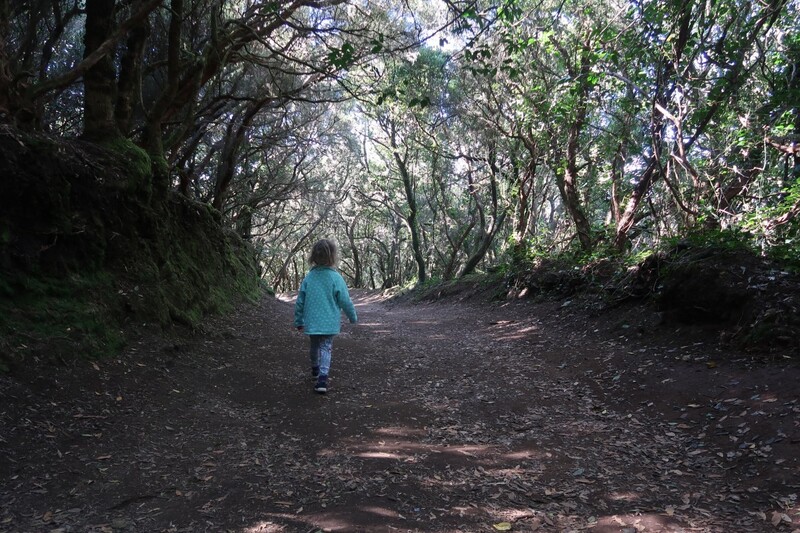 There are various walks through the forest, some are well worn ancient paths once used by the indigenous people of Tenerife, others have been cleared more recently. However the best starting point for walks is the visitor centre at Cruz del Carmen. Do be aware that the car park can get full at busy times, on our attempt to visit Anaga it was completely full. The drive onward through the mountains is rather beautiful too, with various places that you can pull over to admire the views. The view over the mountains with green forests and scrub is just stunning! Well worth driving across the mountains to see these beautiful views. 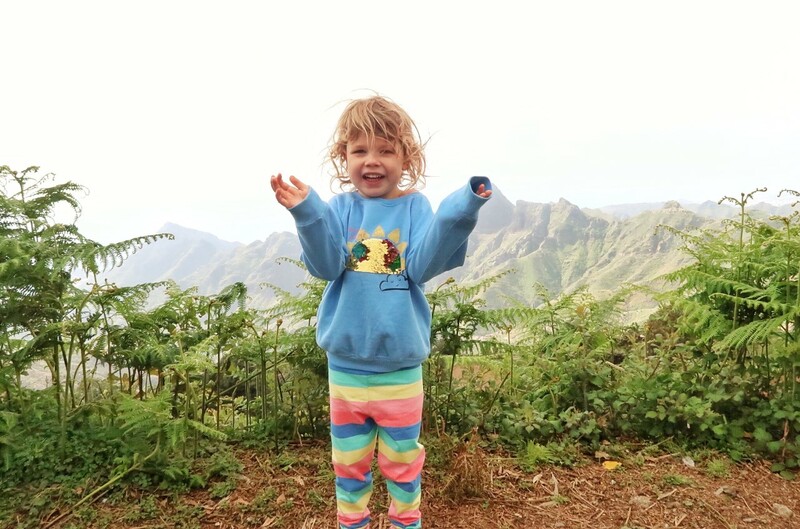 Definitely bring warm clothes for visiting Anaga as it can be pretty cold up there. If you can find a space at Cruz del Carmen then have a look at the visitor centre and visit the lovely cafe and shop across the path. There are some great items to buy as well as very helpful staff in the cafe. We bought stamps and posted the children’s postcards home from the lovely little shop and cafe. After driving over the Anaga forest we ended up at Playa Las Teresitas, a gorgeous golden sand beach just North of Santa Cruz. The sand has been shipped over from the Sahara desert and the sea wall around the beach and harbour keeps the sand from being washed away again. It also makes it the perfect beach for children to swim safely in the Atlantic. It can get very busy in the holidays or weekends, so expect a crowd. 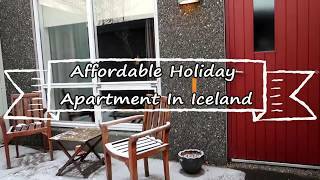 You can bring your own beach things or pay a small charge to hire a pair of sun loungers. There are also changing rooms, toilets, showers to clean off sand and several small cafes. There are plenty of black sand beaches around the island, but as we stayed right across the road from this particular one in Guimar, it made sense to visit. If you are driving into Puertito de Guimar you will find plenty of street parking that you can use. The beach has a wall partially surrounding it and only letting in small waves from the ocean, although when it’s windy the kite surfers will be out on the water whizzing up and down the coast. My two had a fantastic time running in and out of the waves and I enjoyed looking for pieces of volcanic rock in the black sand. A stunning Northern Tenerife beach, close to Puerto de la Cruz you need to walk through banana plantations to get to the beach itself. 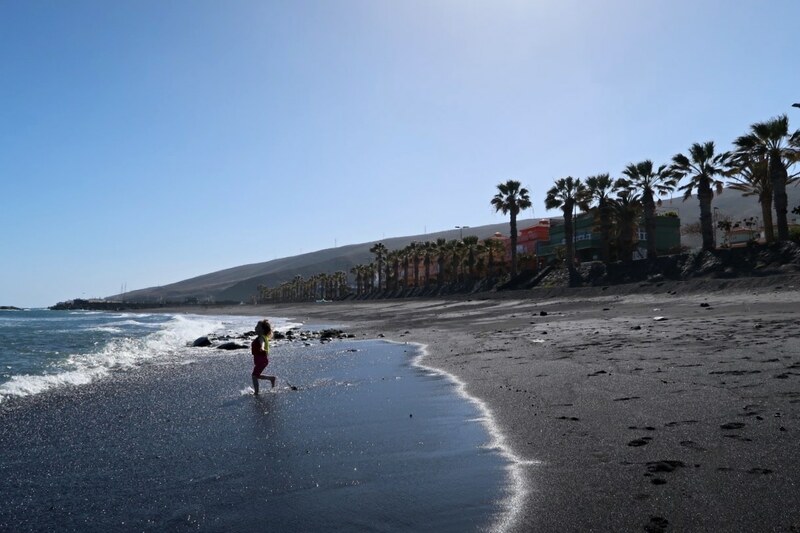 With gorgeous black sand this beach is quieter than some, but you’ll still find it busy with locals. There is a seafood restaurant above the beach, where you can dine and watch the sun set in the evening. A perfect place for a romantic evening! The beach at La Tejita is between the villages of El Medano and Los Abrigos. It’s a beautiful quiet stretch of sand away from the tourist crowds and loved by kite surfers. There are magnificent views across to the Montana Roja. 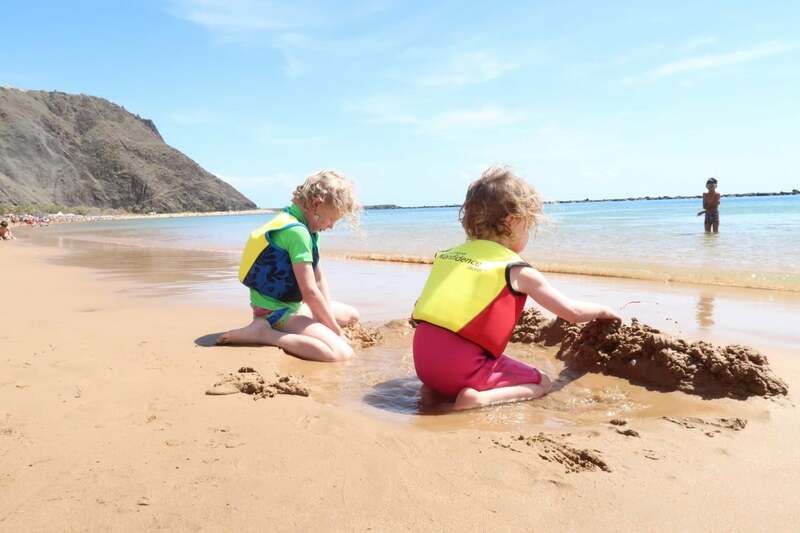 Although families should be aware that the far Eastern end of the beach below Montana Roja is the nudist end of the beach. 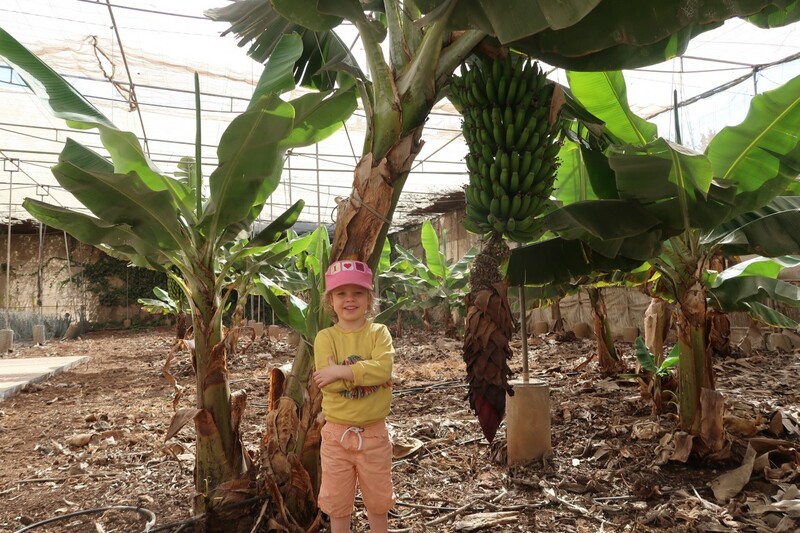 One of the highlights of our trip was visiting Aloe Park, to learn more about how Aloe Vera and Banana’s are grown in Tenerife. The tour through the plantation was very detailed, with lots of information about Tenerife culture and water issues. As we paid via Paypal we were also given a baby Aloe Vera to take home to the UK. They are still going strong, hopefully we’ll have our own Aloe Vera to use for skin ailments in the future. On our last day we chose to visit Siam Park, a brilliant water park in Costa Adeje. 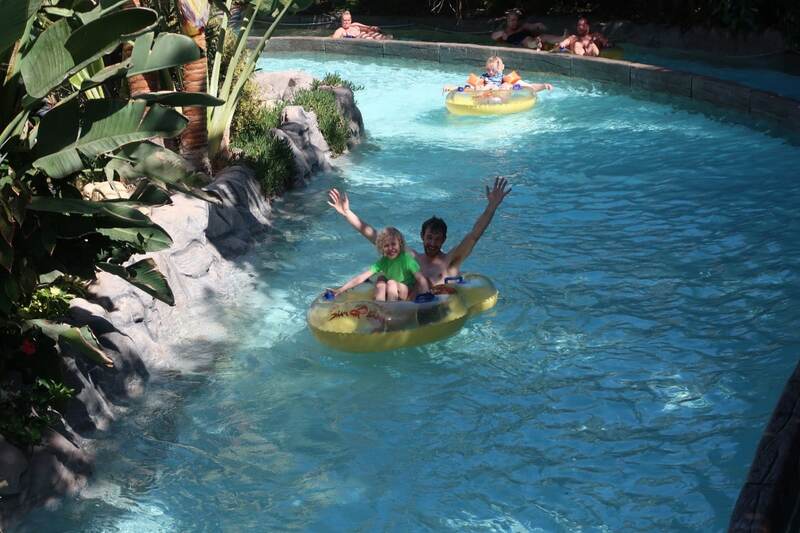 There are plenty of attractions for the children to enjoy, from the Lost City to the Lazy River and Naga Racer. Littlest’s is just under 110cm so couldn’t go on as many slides as his brother, but his favourite one was the lazy river. 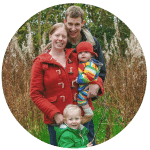 Our eldest is 125cm in height and could go on a lot more slides, including the brilliant Naga Racers and Mekong Rapids. 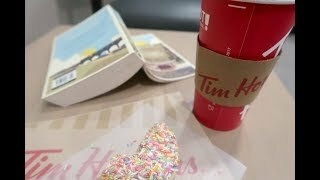 We didn’t arrive until late morning, which I think was a mistake on our part, the kids could easily have spent a lot longer there! Amazing guide. 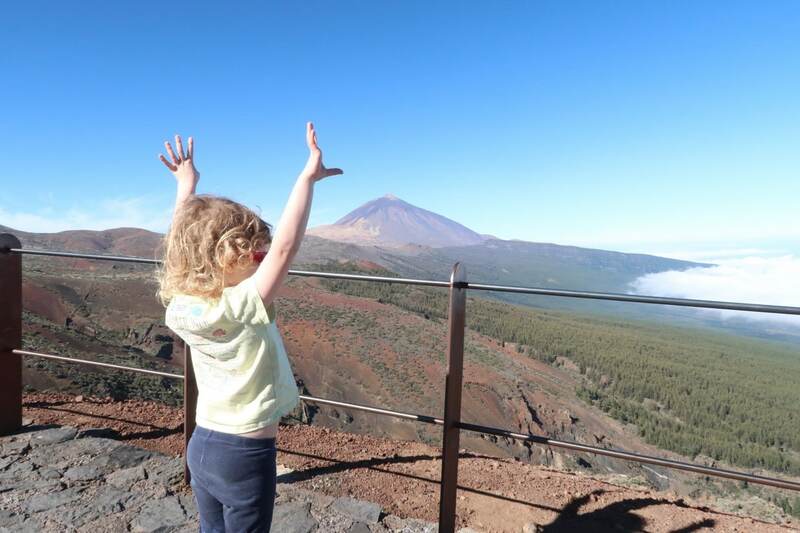 I’d love to take my girls to Tenerife, especially to go up Mt Teide. It’s supposed to be an amazing place for stargazing as well. I think I went to Siam Park when I went to Tenerife years ago but I don’t really remember it. I would love the lazy river though! Oooh yes, I totally fogot to mention that. I will update later with a little bit about stargazing on Mt Teide. Although my two wouldn’t manage to stay up that late when we were there, you can also look at the sunspots during the day!